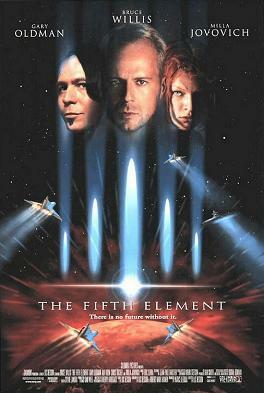 Long before the exceedingly boxy, strange-looking car, there was another Element: The Fifth Element, a clown-headed young woman in orange rubber lederhosen who held the key to saving earth from a big ball of evil…stuff. Bruce Willis is a hack (as in "cab driver") who must protect her from the malevolent Zorg (Gary Oldman sporting an acrylic yarmulke, novelty teeth and an accent that makes him sound like a cross between Foghorn Leghorn and Barney Fife). The yummy Ukrainian Milla Jovovich stars as Leeloo, the titular element. Yes, earth's very existence is in the hands of someone named Leeloo.